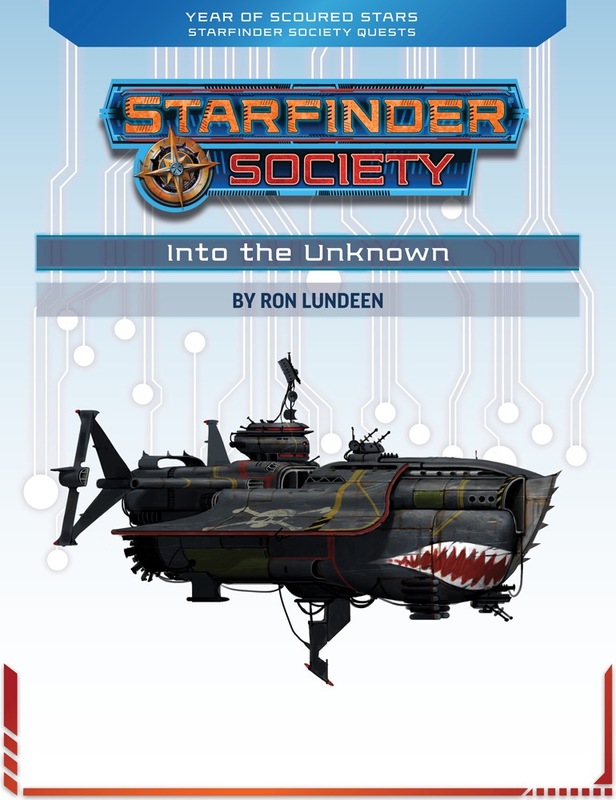 Before I can introduce you to Into the Unknown, I should probably talk briefly about the Starfinder Society Roleplaying Guild. In game, the Starfinder Society is “an organization renowned for its exploratory efforts throughout the known galaxy” but out of the game, it’s a worldwide organized play group. Like the Pathfinder Society before it, the Starfinder Society lets players create a character, and play a series of regularly published scenarios with different groups anywhere in the real world, or within your own private group of friends. Most of the PDF format Society adventures consist of a full scenario, meant to be played in 4-5 hours. But they also offer “Quests” which are very short encounters, or a series of short encounters, that are intended to run about an hour. Into the Unknown is series of five such quests. Into the Unknown makes for a great introduction to Starfinder, and even to roleplaying games in general. Players can just create their own 1st-level character using the rules in the Core Rulebook (or use one of the pre-generated characters that can be downloaded for free from Paizo.com), grab their dice, and play! A newer GM, obviously, still needs to read up on all the rules. But because of the smaller the size of these encounters, it’s a good place for them to start out as well. Each of the five quests builds on the quest previous to it. The GM gets some of the background information and a summary of what’s about to come, as well as sidebars about where the encounter takes place, how to scale for fewer players, and running the encounter when players haven’t played the previous encounters. There is also a map included for each encounter, that is labeled what the retail version is called, should you want to purchase it. The framework for the Players is similarly outlined, with an introduction, a little bit of busywork to get used to various aspects of the games, followed by a single battle, and a brief conclusion scene. The PDF ends with some organized play paperwork, including a chronicle sheet, which everyone requires if you are officially playing as part of a Starfinder Society Roleplaying Guild event. If you are just playing at home for fun, the GM should still keep track of some of the details listed on this page. Whether you are a new Player, a new GM, new to Starfinder, or completely new to RPGs, Into the Unknown is a great place for you to start your experience. The best part about it? It’s a free download from Paizo’s website. 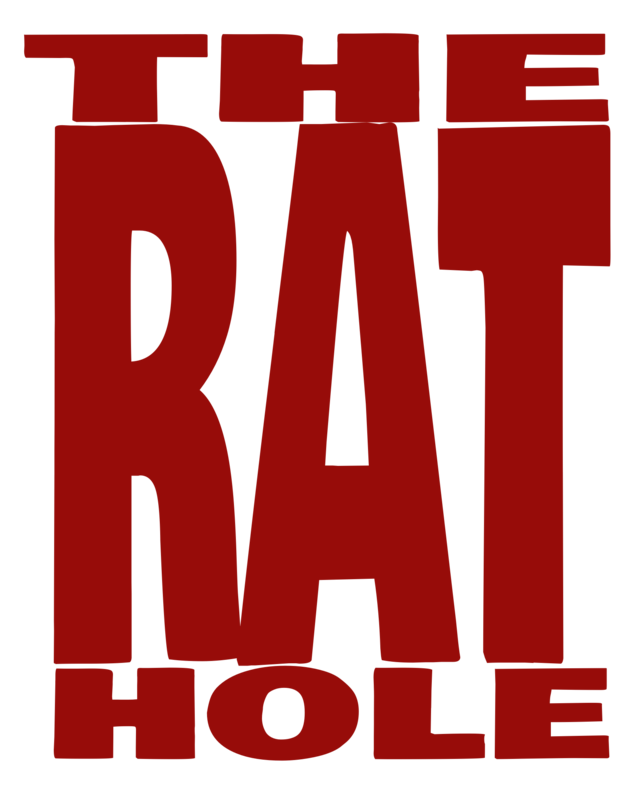 The website is a bit challenging to navigate at times, and some of the Starfinder specific elements are surprisingly still not online (specifically the Starfinder Rules Document which will be the free online version of the core rules). But if you take the time to surf around, you can find all sorts of interesting things there besides what I have linked too in this article.